The foam absorbs the sound & Vibrations of the slap of the shutter. 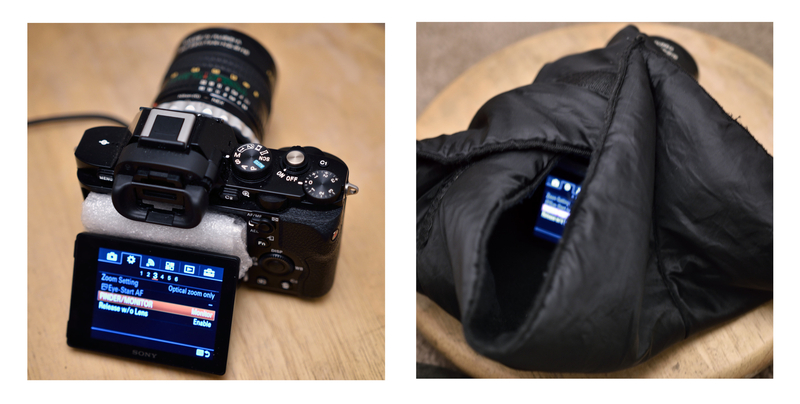 Just like grip accessories help absorb the shutter vibrations for long exposures. I didn't think such simple wrap and foam would stop so much noise, but it I was able to silence the camera a lot. If you don't like wrapping up the camera just using foam and engulfing the a7R in your overcoat at waste level should be enough to deaden the hard slap of the shutter for street photography too.